Red carpet hairstyles you can actually create IRL! With this year’s Grammy Awards officially over, we thought we’d pull together some of the best hairstyles that caught our eye from the event — and also invite you to take a look at all the other red carpet hairstyles we’re loving. From elegant updos to fun and flirty styles, these glam red carpet looks will inspire you to do something special with your hair for your next special occasion. So, what are you waiting for? It was a big night for singer Dua Lipa who picked up two Grammy Awards at the 2019 ceremony. Wearing her dark brown hair in a straight and sharp bob, Dua completed her look by tucking some of her hair behind her ear for a faux asymmetrical finish. Editor’s tip: Straight hairstyles, whether natural or the result of heated styling, take serious work to achieve. 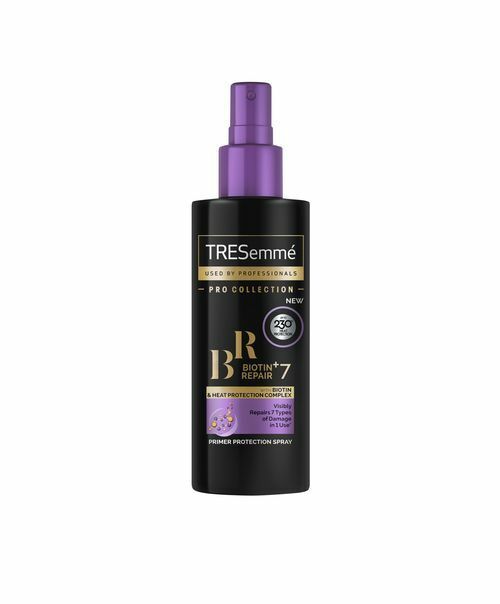 So, make sure you’ve got a heat protecting primer spray, like the TRESemmé Biotin + Repair 7 Primer Spray, in your beauty kit. We all know Miley is never afraid of trying a daring style or two, so when the singer and actress arrived on the red carpet, parents in tow, we had to do a double take. Wearing her long blonde hair in soft waves swept over the side, Miley went for a pared down look with simple make-up and a black blazer. 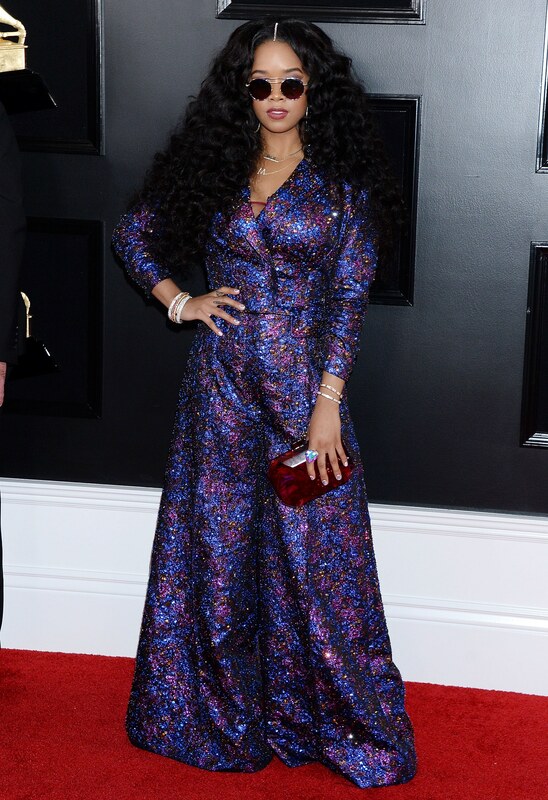 Singer and songwriter H.E.R went for gorgeous fluffy curls on her Rapunzel-length dark brown hair. From her jewelled parting to her rock chic sunglasses, more is always better for this star. The Grammys 2019 was full of red carpet surprises and Lady Gaga‘s tousled waves might just be the biggest surprise of the night. Like Miley Cyrus, Lady Gaga stripped it back for the night with bleach blonde tousled waves and dark roots. Editor’s tip: No matter which hair colour you are thinking of trying, be sure to use a wash and care system formulated with coloured tresses in mind. 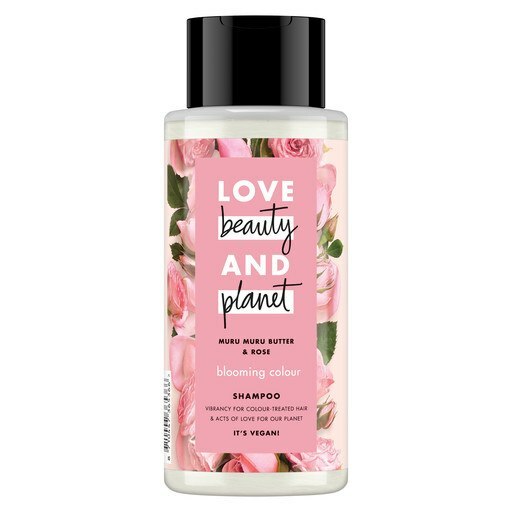 We love the Love Beauty and Planet Blooming Colour Shampoo and Conditioner for keeping colour treated hair vibrant. 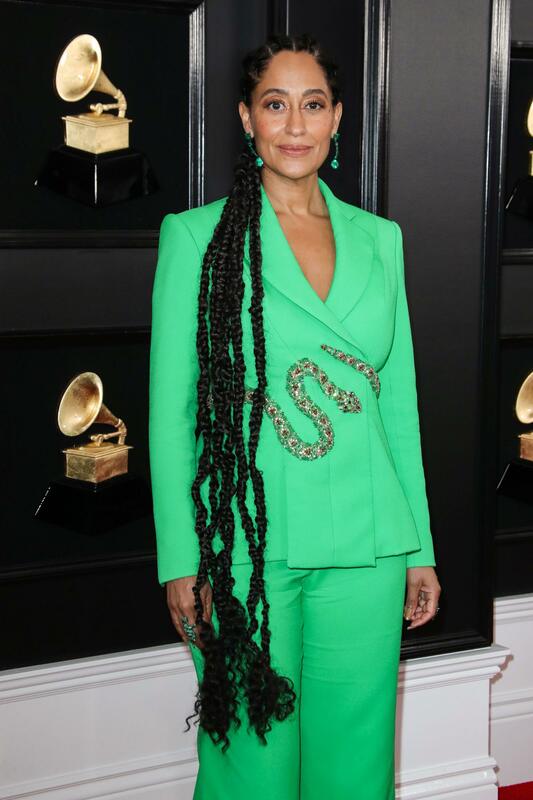 With a striking green suit and thigh length braids, there was no missing Tracee Ellis Ross when she arrived on the Grammys red carpet. We’ve seen natural hair and braided styles like cornrows all over the runway this season so it comes as no surprise that natural hair champion Tracee Ellis Ross went for this look on the red carpet. When it comes to hair trends for 2019, hair slides are right up there. Taking the trend to the red carpet was TV presenter Laura Whitmore who teamed hers with loose waves. Want a red carpet hairstyle that works for everyone? Then you’ll love Irina Shayk’s sleek bun updo. Whether you have a mass of curls or poker straight locks, a long bob or waist length hair, try smoothing your hair into a low bun with a sharp side parting to get this red carpet look. Editor’s tip: Looking for a glossy, silky finish to your updo? 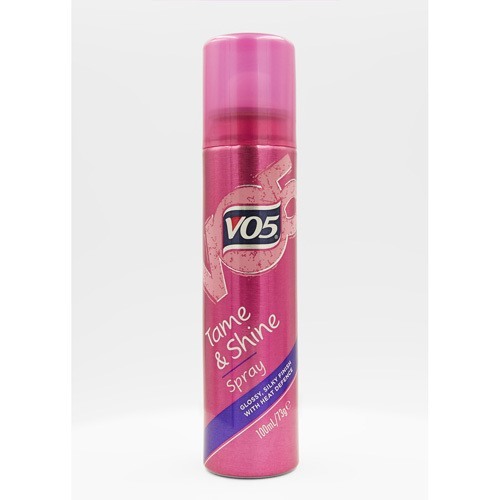 We suggest using VO5 Tame & Shine Spray to help tame fly-aways and add shine. Can be used before straightening or curling, and as a finishing touch afterwards. It’s no secret that Cardi B has been rubbing shoulders with the Jenner/Kardashian clan. 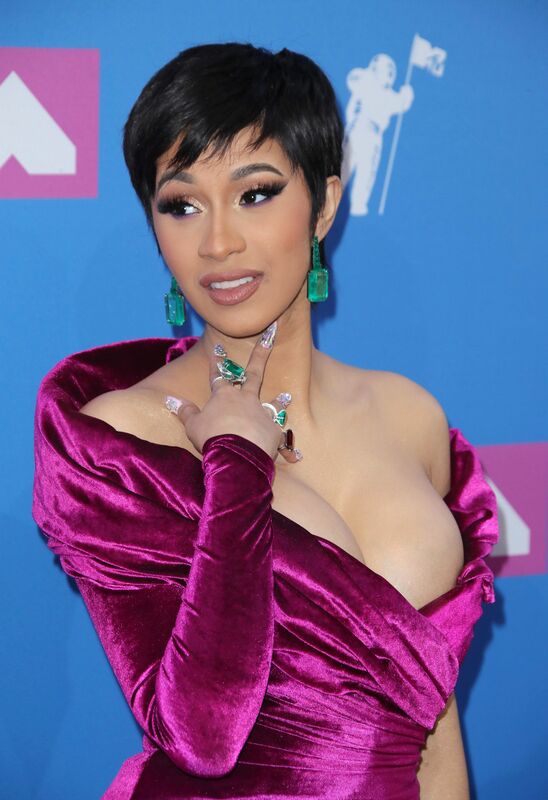 And, it seems like she’s been inspired by Kris Jenner‘s signature momager pixie, as she surprised us all with a similar look for the VMA red carpet. Guess what? We don’t just like it, we love it! The best way to show off long bangs? 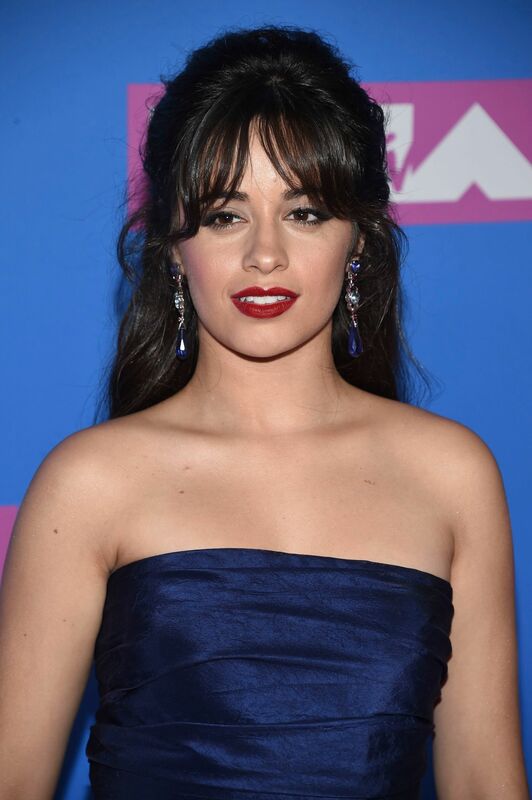 With this romantic, voluminous half-up, half-down bouffant, which we spotted Camila Cabello sporting. Not only will this look allow you to channel Brigitte Bardot vibes, but it will also team perfectly with red lipstick. Ooh la la! Editor’s tip: Want your mane to look as plump as Camila’s? 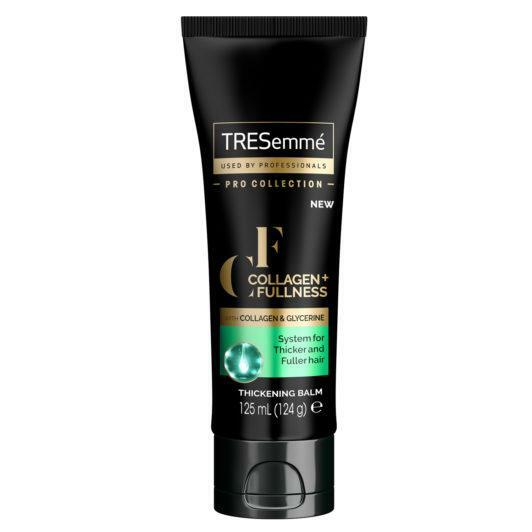 Try using the TRESemmé Collagen+ Fullness Thickening Balm! Smooth a small amount of it into your damp mane before blow drying, to achieve visibly thicker and fuller strands that are ready to be styled. Jennifer Lopez is going blonder by the minute! For the VMA’s red carpet, the star dazzled us with her ash and golden blonde hair colour, complete with soft dark roots. This lovely shade illuminates her face, and will certainly do the same for you. As if we needed another reason to convince us to try purple hair! 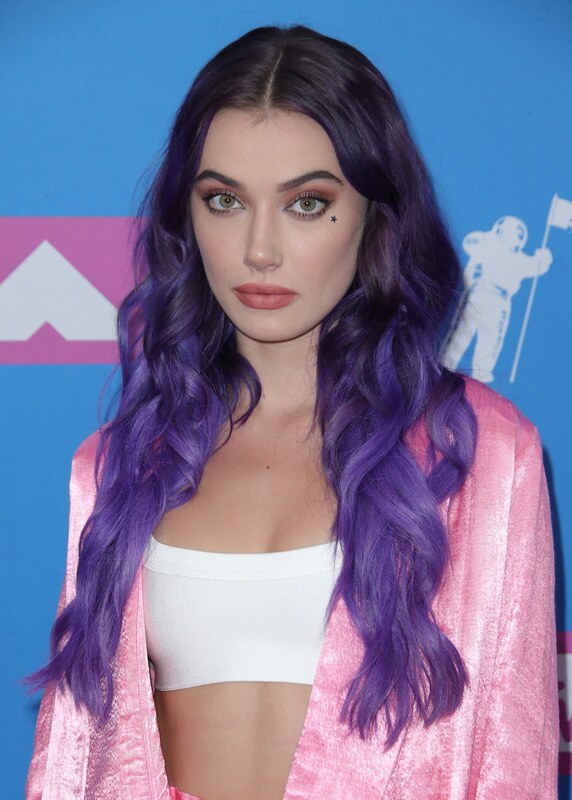 Olivia O’Brien’s dreamy shade, with playful loose curls, is the epitome of #hairgoals. Have you been having a non-stop Sweetener listening party? Us too! 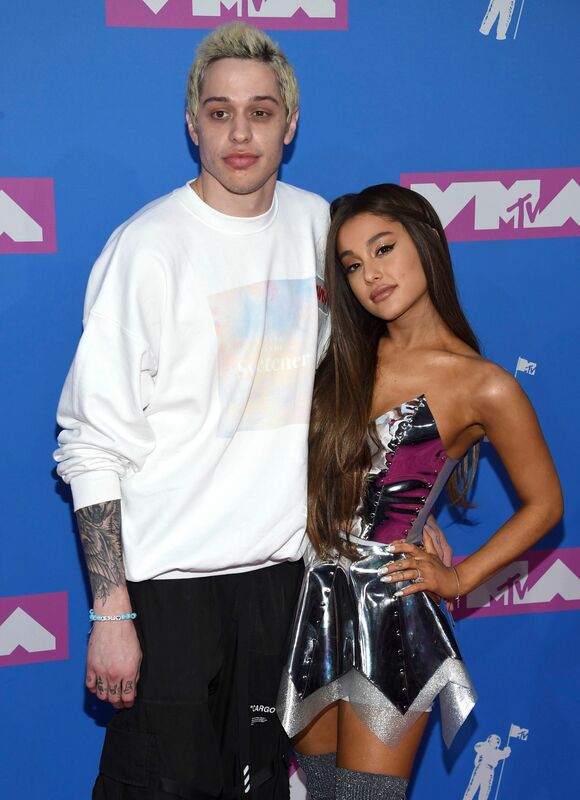 We loved how glossy Ariana Grande’s long hair looked at the event, and can’t wait to see what other looks she’ll experiment with now that her ponytail days are over (or are they?). We’re sure Rita Ora swam to the VMA’s, as she turned up with gorgeous mermaid-worthy wet-look strands that we could only imagine Ariel pulling off. In true Rita form, she kept the look effortlessly undone, grungy and feminine all at the same time. The only thing we love more than Nicki Minaj‘s long extensions are her playful pigtails. We saw Madonna slaying them on the Met Gala red carpet, so it’s seriously true: your favourite playground look is here to stay. Rihanna is never one to shy away from an avant-garde hairstyle on the red carpet, so choosing just one from this year was not easy. But after much deliberation, we narrowed it down to this sultry loose waves hairstyle she wore while attending the Clara Lionel Foundation event. The dark hue looks stunning on the singer and draws attention to her beautiful green eye colour — plus we love how the loose waves give the overall look a more relaxed finish. Adele managed to scoop up not 1, but 5 awards at the Grammy Awards this year, and we think this hairstyle is a winner also! The singer/songwriter had a whopping 3 hair changes throughout the course of the evening, but our favourite was this elegant twisted chignon. With a few face-framing strands left loose near the front, Adele gave this ‘do an extra sophisticated finish. Our eyes, our eyes! We can’t handle how beautiful Emma Roberts‘ fiery copper colour looked while attending the Vanity Fair Oscar’s party. From blonde hues to deep smokey colours, Emma Roberts has tried a multitude of shades but this intense copper colour stole the show for us. Finishing the look with loose curls cascading down her back, Emma’s hair ticks all the right boxes for a flawless red carpet hairstyle. Zendaya‘s groovy ’70s-inspired curls are giving us serious hair envy. Ensuring all eyes were on the her at the Teen Choice Awards, Zendaya sported this dark curly shag hairstyle, complete with a curly eye-skimming fringe. Plus, by popping in a few golden brown highlights through her black hair, she managed to adds further definition to her curls — nice job, Zendaya! 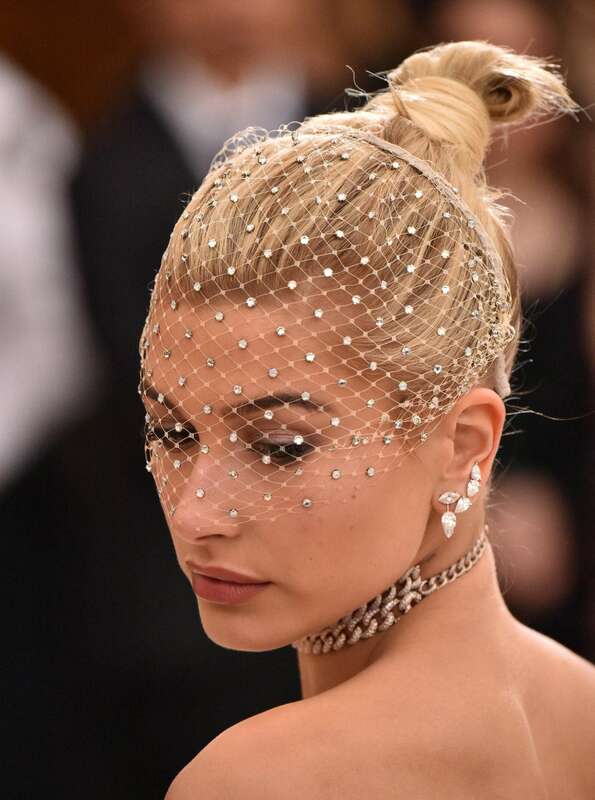 Not just content with a bun updo, Hailey Baldwin‘s finished Met Gala look may be the ultimate lazy girl hairstyle that we have ever spotted on the red carpet. By pairing her bun hairstyle with an embellished, jewelled hairnet, Hailey’s look goes from sofa-slob to Meta Gala princess in seconds. Where do we sign up? The Wonder Woman actress looked absolutely sensational with her rich brown tresses slicked back at the MTV Movie & TV Awards. Gal has kept some height around the middle section for a quiff-like finish, while smoothing the sides back against her head for a sleek and chic ‘do. 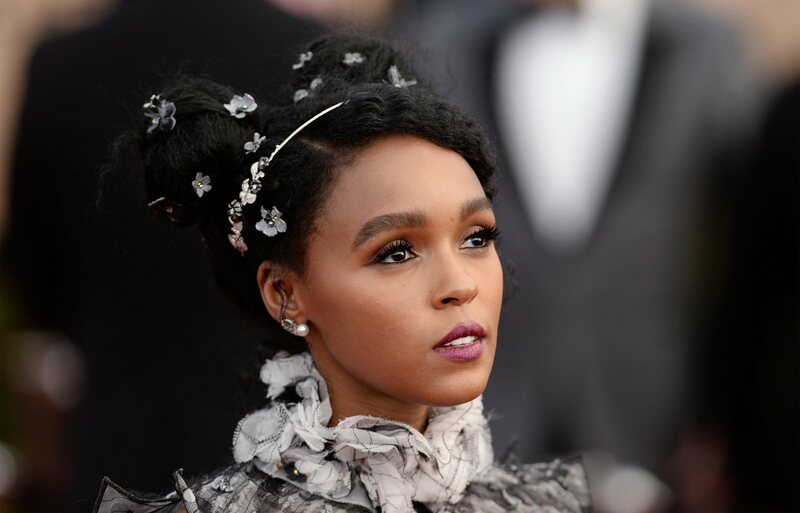 American singer Janelle Monae is the reigning queen of hair accessories (her googly eye buns will go down in history! ), and her SAG Awards hairstyle certainly didn’t disappoint. For the red carpet event, she opted for one of her favourite space bun styles, which was then adorned with a dainty silver headband and flowers for a cute yet classy feel. Ooh la la! British model-turned-actress Cara Delevingne channelled major robot vibes with this daring, silver spray painted look, which also featured a few Swarovski crystals for good measure! 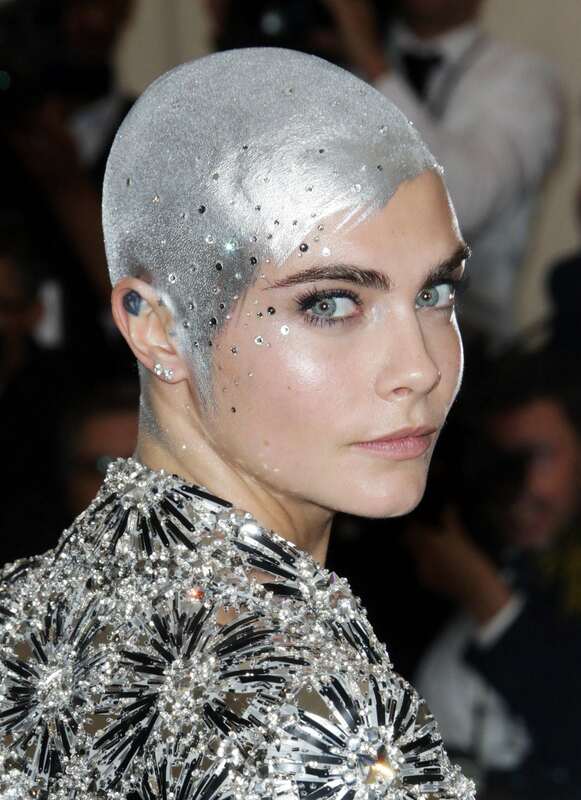 Having already proved to us that buzz cut hair is anything but boring, Cara took her mane game up a notch and totally stole the show with this bold, glittering look at the Met Gala. This Morning presenter Holly Willoughby always looks fab, but we’re sure you’ll agree she looked a real vision with her floor-length floral gown and romantic French braided updo at the Glamour Women of the Year Awards. Editor’s tip: If you’re as besotted with Holly’s look as we are, and want to try recreating her ‘do yourself, don’t forget to prep your hair before styling. 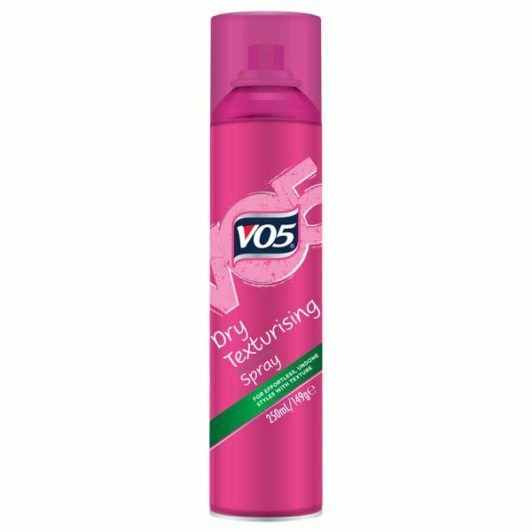 We suggest using a texturising spray, such as the VO5 Dry Texturising Spray, to give your hair extra grip and make it easier for you to create your braids. Looking for sweet and simple party hair ideas? Well, Sienna Miller‘s pretty and formal ponytail is perfect for those with medium-length hair, and looked utterly effortless as she rocked it at the Live By Night premiere. Sometimes simplicity really is the key! Can’t decide if you want short or long hair? Don’t worry, the long bob is the perfect answer to that hair quandary and Elle Fanning is the perfect poster girl for it! The long bob (AKA the lob) has fast become the ‘It’ cut to be spotted in this year, with the likes of Kim Kardashian, Bella Hadid and Chrissy Teigen all going for the chop. Nothing says red carpet-ready like waves, right? So, we weren’t surprised when Milla Jovovich stepped out with this wonderful wavy updo for the Resident Evil: The Final Chapter premiere. Just don’t forget to apply a heat protectant before grabbing your heated styling tools. Trust us, your tresses will thank you for it! We just love, love, love the subtleness of Coco Konig’s waves! These barely-there waves are the epitome of understated glamour, ideal for those who want to look like they’ve made little to no effort at all. Felicity Jones practically took our breath away when she teamed her lovely lilac gown with a chic and simple updo at the Rogue One: A Star Wars Story premiere. But the hair pièce de résistance to this style was the brow-skimming Bardot fringe with soft, feminine wisps of hair perfectly frames her face.